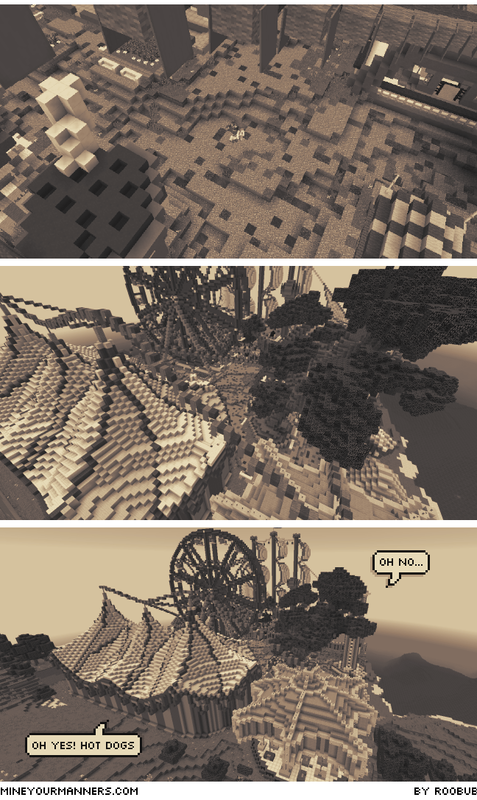 Featuring a gorgeous carnival build by SomebodyButMe - Go have a look at it in glorious color! For skins and other worlds used - see previous installments. I just found this and I binged it all in one sitting. It's super funny and really captivating! It's been exactly ten months since this was posted... and that makes me so sad! Please pick this up again if you have the time!